Handis make the best tableware accessories, used for serving Indian cuisines to the guests. 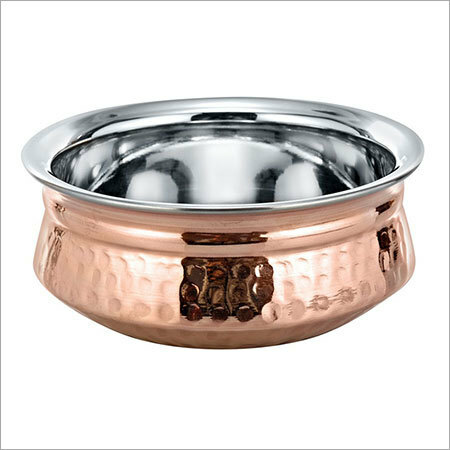 This copper steel handi is circular, and deep with large capacity. To prevent the fusing of copper ions in the cooked vegetables, the handi has a steel inner lining and outer copper lining. The hammered design makes this copper steel handi even more attractive. One can use a steel copper serving spoon with two of more such handis to complete the serving set.